Posted On April 23, 2014 by Team iCynosure. As I sat at my desk, evaluating the agent, I thought to myself. IPL is to begin in a few days, last year I enjoyed every home game cheering at the stadium. But this year it's going to be tough. I debated with myself and finally decided 'I have to do this' as I walked towards Ron's cabin. My boss looked at me completely stumped. After a few minutes, he asked almost uncertainly, "Are you sure? It is something that you've tried to avoid for the last two years as a trainer. Not only is it gonna create chaos in the entire schedule but also add tremendous overtime for the training and facilities coordinators. And none would be pleased." I waited for him t​​o say more and when the silence torn into my conscience I said, "If it's not going to be possible Ron, I'm afraid I may need to go on leave." Training fresh recruits for the collections department of a major American Bank in India isn't simple. And that's what worked in my favour. I saw Ron pick the telephone and call in Divya and Vijay. I looked away to hide the smirk that rose from my heart to my lips and conveniently settled on my face. As soon as they were briefed, I felt a pair of dark eyes piercing into me and I smiled my most innocent smile at them. Luckily Ron didn't mention the reason I requested the late change in the training schedule. And what the hell would he know. He was American! I walked back to my desk wanting to jump with joy like a cat who had eaten all the cream but I cautioned myself against it. By the end of the day, Divya came back within two options of the revised training schedules. Thanking her I okay-ed one of them. She turned around while walking back, opened her mouth to ask something and then finally resigned with a "Never mind". I smiled and went back to the reviewing the pre-recorded OJT calls, steadily making notes on the evaluation sheets. At dinner, I broached the topic with my hubby. "I've opted for the third shift this entire month due to immense process complaints over the last fortnight. I want to evaluate live calls and pull up agents who aren't following processes or maintaining call quality." My dear hubby the most supportive man ever said, "Then call mom to help, she can tend to princess and then Akkama need not stay back at night." I blushed, that's exactly what I had been thinking the entire day. "Akkama, please would you get me some coffee." "Why are you up so early? You practically just got back from work. Go rest dear you have a really long day ahead." "Don't worry Akkama, just bring me some coffee." My mom and daughter walk into my room. "What the hell are you watching, Heena? 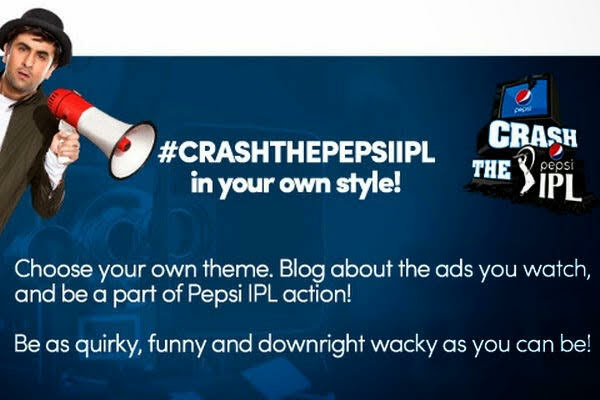 Was this change in the schedule so you could follow the Indian Premier League by the day and go to work at night?" growled my mom. "Of course not ma, I'm .... its just....." even before I could complete my sentence she shooed me. "Don't you go lying to me, or else ....". She left the threat incomplete and I looked back at the television set as she walked into my daughter's bedroom. "Lets hurry hubby, the first game's just began and I don't want to miss a second of the fun." I said just as we were having dinner. "Okay Okay... I know it's a tough call for you. Both your favourite teams playing, Mumbai and Kolkatta. Who are you cheering for anyways? I guess Mumbai because Saurav is no longer playing IPL." he teased me. Grinning from ear to ear I thought to myself, it was fun. And yes Kolkatta won and I was happy. Not because they won, but because my plans had worked. I had fooled my boss, my hubby and my mother (no not really, cause mom's know everything) for the love of the GAME. Off to nap in my cabin. No one knows I'm in office except my boss, the coordinators and my driver. Hahahaa awesome. This is how it's gonna be for the entire season. "Oh dear, I have a splitting headache." I moaned to my hubby. With a lot of love, he brought me a huge cup of coffee. I smiled at him and confessed. I manipulate this entire night shift to catch the IPL 7 season but it's taking a toll on me. I'm stuck." I wanted to wail. "ohhhhh hahahahaha" he threw back his head and laughed. "Oh my goodness you crazy woman, why did you do such a silly thing? All you had to do was subscribe to Star Sports and you would be set wherever you are." And voila! I was watching the ongoing Hyderabad versus Punjab match on the laptop. The scoreboard was zipping as quickly as the Kings were scoring the runs. I looked at him and snuggled into his arms. In a few minutes, he ran me through the most amazing features and fun facts on the site. A scoreboard that delivers faster than anyone else. When each ball, each second makes a huge difference in the game, who would want to miss the scores? Instant and fastest updates are like oxygen to fans who breathe cricket, cheer cricket and live cricket. SO yes this feature is a definite thumbs up from me! Quick videos that capture key match points in real time. Don't have time to watch the game, it's an important meeting you see. Don't worry a gateway to the most amazing moments of the game are laid out just for you. Sit back and enjoy the magical moments and feel the thrill. A unique feature, worth a loud applause. Catch up with the match quickly and completely, no matter when you come in. Were you distracted by something? Did the doorbell ring and you had to go sign a courier? Or did your little one just call out for your attention? Oh no... have to run an errand? Not to worry, you aren't going to miss anything. Just be back and hit AR and you will be run through the game in quick time. Informative snippets with a visual twist, for your entertainment. Hate all those long boring tables or rows and rows of information? Look at the new interesting statistical data which will bring a smile to your face. Crazy doodles, photo art, sketches, you name it you find it and that too with some brilliant analysis. Free video streaming of the match with 5 minutes delay. For all those a little less crazy fans who wouldn't mind not having the up-to-date scores and will be content with a bit of a delay can avail the streaming with a tiny-winy delay. Light on the pocket, no subscription needed. Yep, I hear a 'Youhooo' from a group of little boys somewhere. And the best part is, I am not restricted to the platform. In the office I can use my laptop, on the go, my iPad or even my mobile can work to keep me going. So Keep Calm, #KannaKeepKalm I heard myself humming the IPL 7 brand tune. Just as I was about to hit the X icon, I saw something that instantly drew me in 'MYSTERY BOX'. I wondered what? It's a link to the most hilarious video of the day, and boy I was hooked to Star Sports. We watched today's video together and laughed. Then hubby whispered into my ear and my eyes twinkled. I pulled out my mobile and dialled my boss. "Ron" I said, "You were right. I think I'll skip the new routine and go back to the earlier schedule. Don't fret I'll speak to both Divya and Vijay in the morning and sort it out myself." I heard a highly intoxicated okay and hung up. Settling beside my husband and my precious bundle of happiness, I grabbed a bottle of cola and sandwiches and cheered the Kings every single ball. Just as the match ended, my mom came in to get my daughter. She hid her surprise at my casual appearance and took princess to her room. On her way out she winked at me and I let out a throaty laugh. Looks like StarSports has made me commit another crime, trouble my training schedule coordinators all over again. But like they say, all's fair in Love and War. Without any doubt, PEPSI IPL is a double dose of LOVE for the HOME SIDE and WAR against all the OTHER TEAMS.